Take a shortcut to deliciousness with our Simple Eggs Benedict. 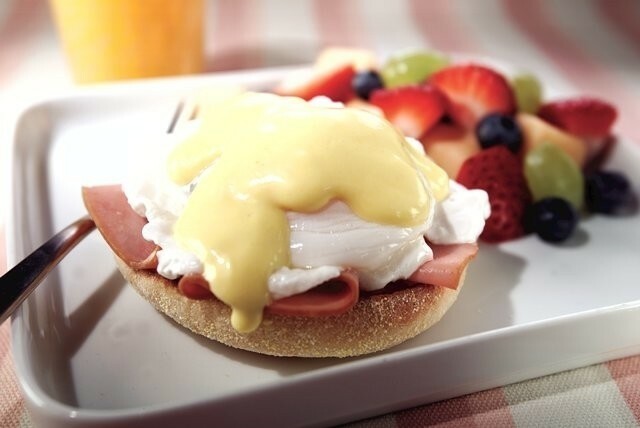 Whipping up our Simple Eggs Benedict is a great way to maximize your time with loved ones. Cook yogurt, mayo and mustard in saucepan on low heat 5 min. or until heated through, stirring constantly. Top muffin halves with ham, eggs and sauce. Prep Time 15min. Total Time 15min.